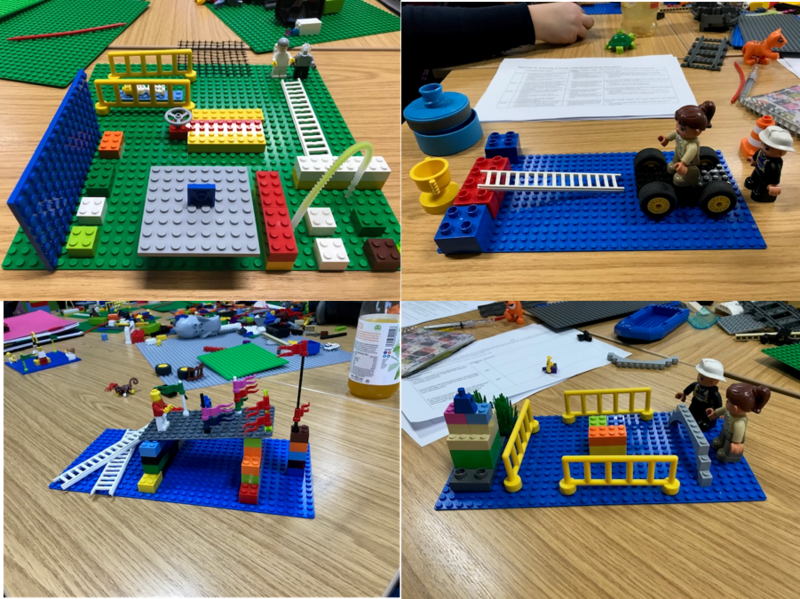 Yesterday’s open-to-all workshop in SPLASH exploring Resilience got me thinking about about some of the wonderful and fascinating metaphors we uncover in our Lego activities and how many of them go uncelebrated. So I thought I’d do just that and share some of them. 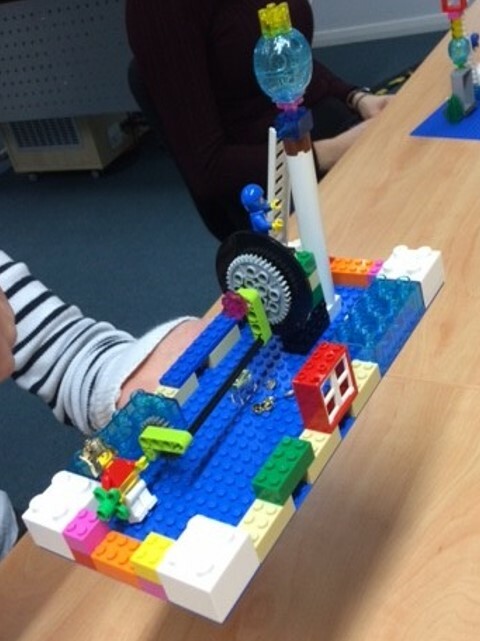 The many and varied ways in which staff and students have conceptualised Resilience in Lego in recent months provides us with great insight into not only the myriad of understandings of the concept itself, which is echoed in the literature, but also, and importantly, how metaphors can be such a powerful leveller and inclusive communication tool. Yesterday’s group have certainly given my colleague and I food for thought. There were lots of interesting models: the one below depicts resilience in terms of the self being enclosed and partly protected by a low wall, but not fully closed off due to its height and due to the gaps where sometimes things slipped through. The description also included strong foundations, windows for openness, various sizes and colours of bricks representing flexibility. 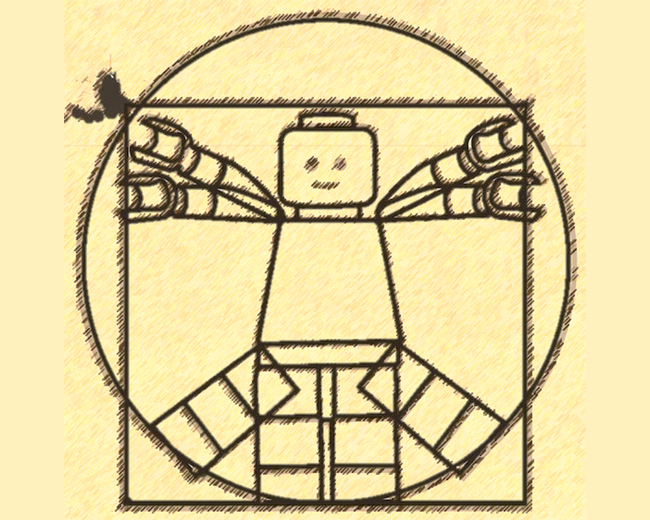 Within this ‘self’ are different characters: one in a crown turning a giant cog producing ‘the money makers’ (tiny lego coins) which represent her ideas and her knowledge; another in a crash helmet (a theme which occured in multiple models) carefully ascending the ‘tower of enlightenment’. But my personal favourite metaphor was from the model below and has given me cause to reflect on the language that we use to talk about resilience. 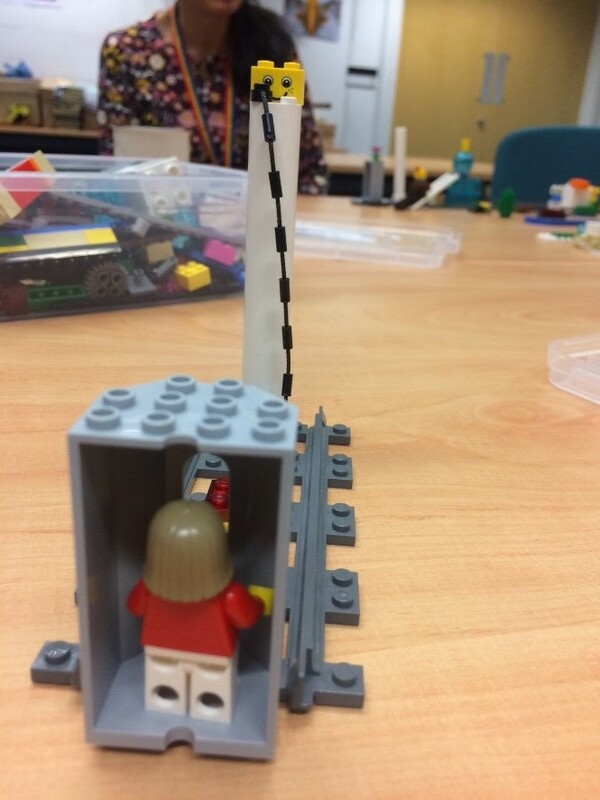 This student’s very simple model is of him driving through a sea of obstacles towards a ‘pot of gold’ up on a high tower: his reward or end goal. The rope which connects him also guides him through these obstacles. But the pièce de résistance was the declaration “but I have my rockets!” (see model below) which led to a deep discussion around the rest of the group about their drivers or motivations which keep them going. So I’ve been reflecting on what my own ‘rockets’ are in tough times and the importance of exploring with students their drivers and motivations, passions or callings, support networks, goals – whatever it is that propells them on – and taking the time to revisit and re-evaluate these from time to time. And I came to the conclusion that after a tough few days, this workshop, and inspirational students I work with daily, ARE my rockets. So the highlight of my Christmas was visiting Lego House in Billund. 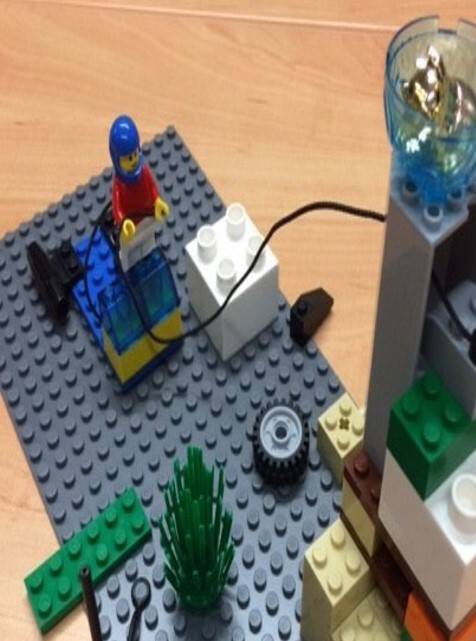 If learning was made of Lego, what would it look like? The Library and Learning Support Services team includes a group of staff who serve at Learning Assistants, supporting the SPLASH team in delivering learning experiences to students across campus. Learning Assistants were recently invited to participate in a session on creative and playful learning, delivered by the SPLASH team. 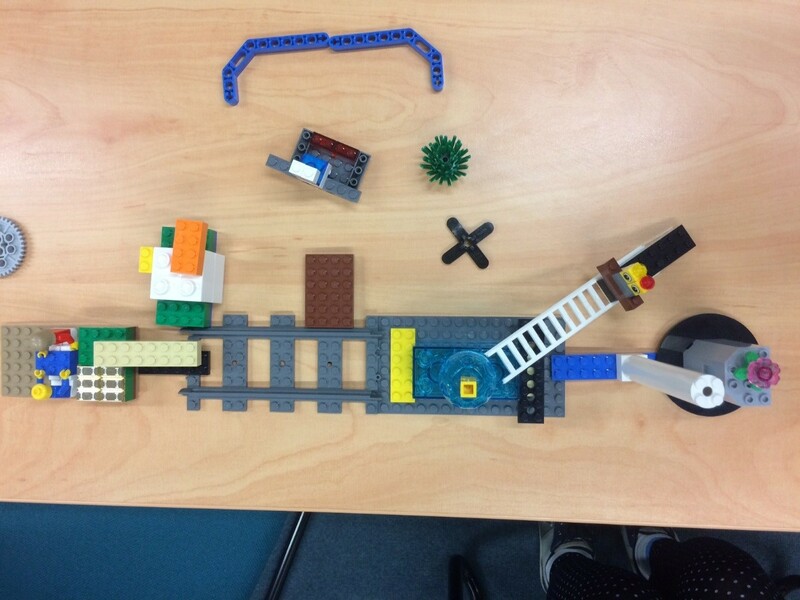 The group were asked to create a Lego model which represented learning. As you can see below, the models were all very different! Each Learning Assistant then presented their model to the group, and answered questions about it. 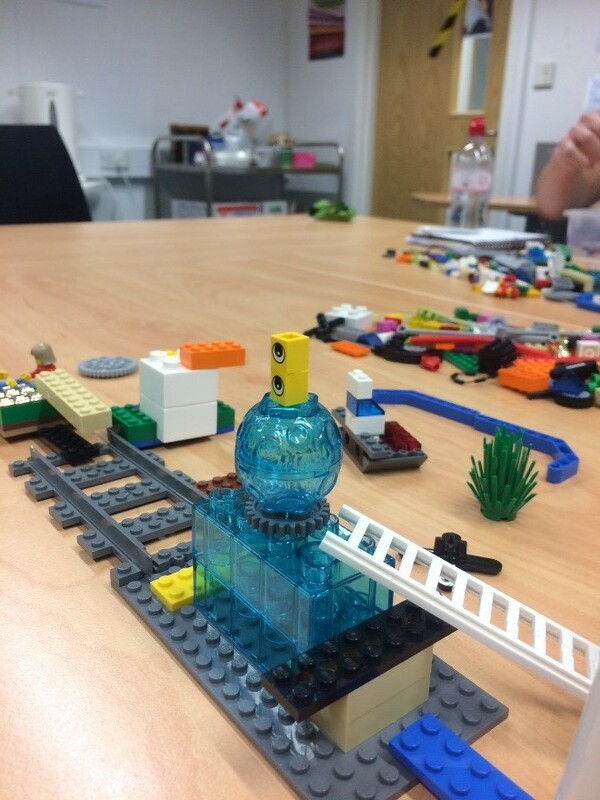 Through this process the group were able to explore concepts of learning at perhaps a deeper level than might have been possible without using Lego. In this way, Learning Assistants had the kind of learning experience that the SPLASH team are currently bringing to students at all levels of study, and from a variety of courses. 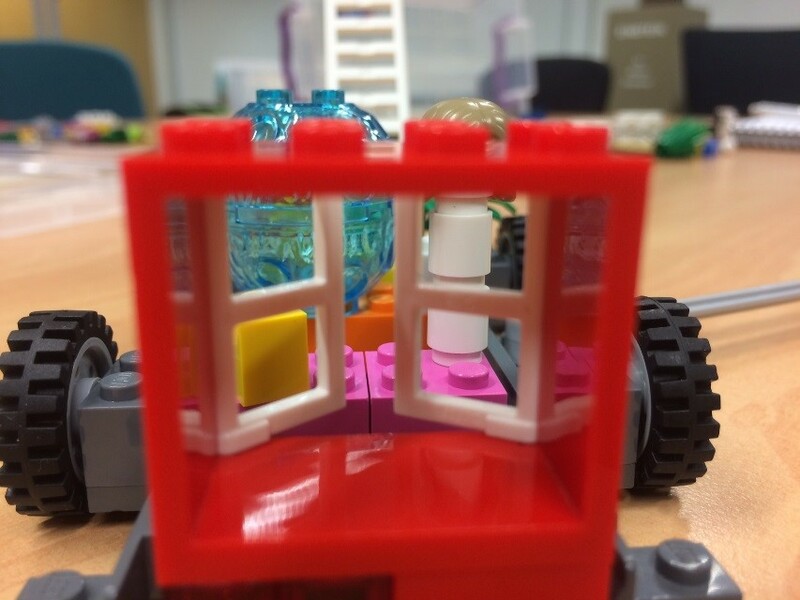 Learning Assistants have the potential to add value to these creative learning sessions by supporting and encouraging learners to engage with the novel task, as well as assisting with the significant task of distributing and collecting up the Lego sets in each session! The playful learning approach is a growing field in higher education incorporating fun and play to demonstrate abstract concepts, help build (pun intended) ideas, and reinforce understanding. Here you can find out about all the playful learning innovations happening at The University of Surrey.